So much talent!! 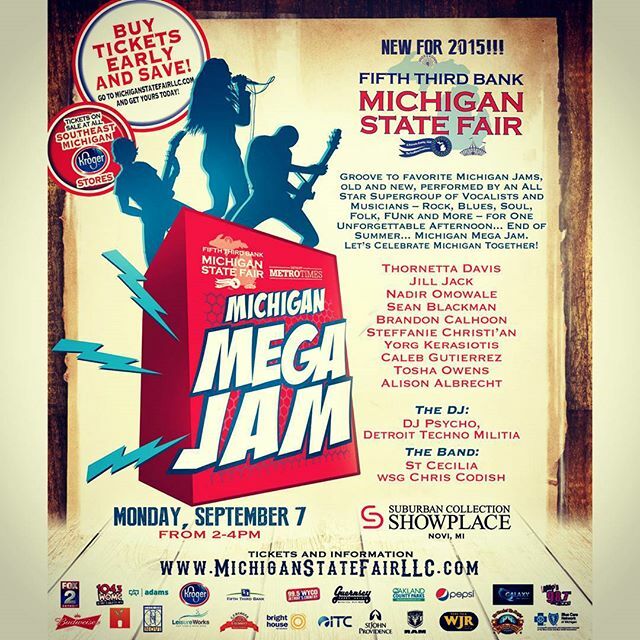 It was an honor and a privilege to work with the best of the best for the First Annual Fifth Third Bank Michigan State Fair Michigan Mega Jam on Labor Day, September 7, 2015. This amazing assemblage of performers gave it their all to demonstrate the high quality of musical talent that we have in this state. Strong performances of original material and favorites by Michigan artists and songwriters from many genres emphasized the strength of our musical heritage and its musical present and future. I’m so proud! Thanks to everyone who participated and attended! 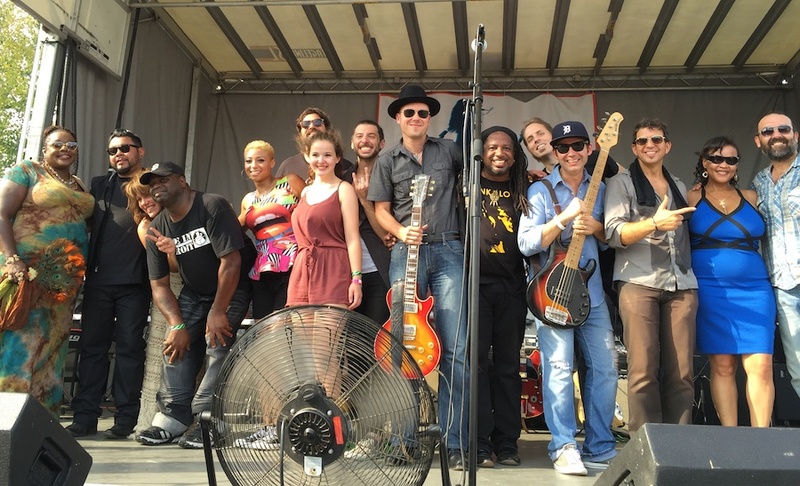 Performers at the 1st Annual Fifth Third Bank Michigan State Fair Michigan Mega Jam! — (left to right) Thornetta Davis-Anderson, Caleb Gutierrez, Jill Jack, Dezi Magby (aka DJ Psycho of the Detroit Techno Militia), Steffanie Christi’an, Brandon Calhoon,Alison Albrecht, Yorg Kerasiotis, Brett Lucas, Nadir Omowale, Chris Codish, James Simonson, Sean Blackman, Tosha Owens and Todd Glass.